Parkville, Maryland--Oak Crest, an Erickson Living retirement community, earned a Top 10 ranking in the large business category of the 2018 Best Places to Work Awards, sponsored by the Baltimore Business Journal. 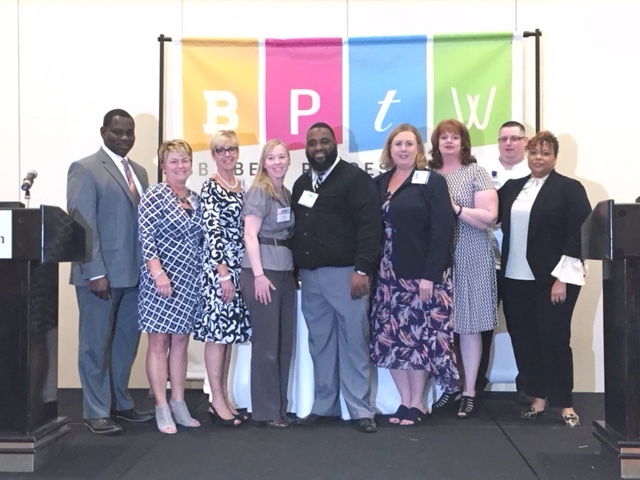 Finalists were honored at an awards ceremony held at the Baltimore Hilton Hotel on May 17. The workforce of Oak Crest is comprised of nearly 1,200 full and part-time employees. As the campus serves older adults, Oak Crest values the age diversity—from 16 to 90—within its workforce and recognize the advantage of experience as 276 employees have worked at Oak Crest for ten or more years. Employees enjoy benefits and opportunities that contribute to a rewarding career. The comprehensive package includes health plans, dental, life & disability insurance, paid time off and tuition reimbursement. The Oak Crest 401k plan matches a percentage of employee contribution, and a robust health & wellness offering includes discounts to national programs and access to an on-site employee medical center. “The Power of Teamwork” was the title of this year’s special publication produced by the Baltimore Business Journal about the awards. More information about rewarding career opportunities in senior living at Oak Crest can be found at https://jobs.ericksonliving.com. Users can also register for email alerts regarding future position availability.